Tony Harrington will be the man in the middle as Birmingham City take on Blackburn Rovers at Ewood Park. Harrington started officiating matches in the Football League back in 2012 after completing his non-league apprenticeship and has moved up the ladder to become a regular in the Championship. He first officiated in the Championship a year later when Bolton Wanderers drew at home with Yeovil Town. His first experience of a Birmingham City fixture during a 2-1 victory away at Barnsley in 2012 when he stood in as fourth official. He later took charge of our 3-0 victory over Bristol Rovers in the FA Cup and has since refereed Blues on 7 occasions, Blues winning four and losing three of those games. One of those games was Blues’ 2-1 victory over Reading back in September and Harrington has also taken charge of two Blackburn Rovers games, both victories for the ex-Premier League Champions. 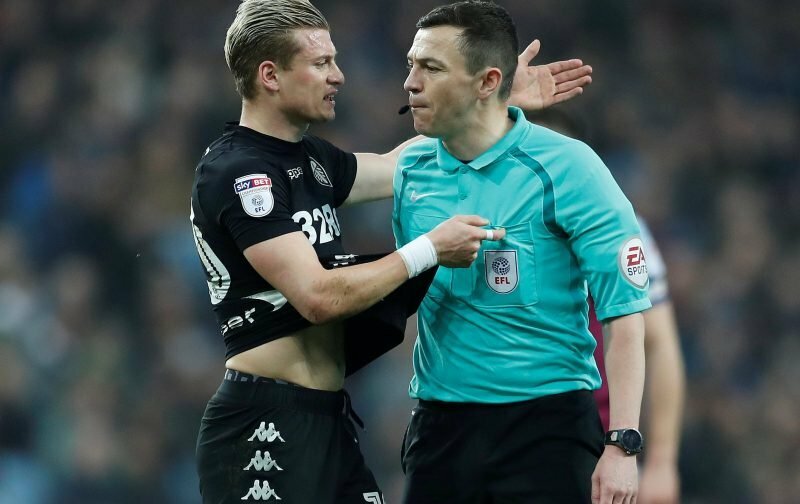 The Cleveland-born referee has taken charge of 11 Championship fixtures this season, dishing out 34 yellow cards and six penalties but no red cards. Interestingly, he has overseen 8 home victories in those 11 games. Darren Blunden and Mark Dwyer will assist Harrington in the North West with Tom Nield hoping to keep the peace between Garry Monk and Tony Mowbray.